The proverb “An Apple a day keeps the Doctor away” is appropriately justified by Apple fruit due to its multi-dimensional properties. Apple is full of antioxidants and fi bre. Apple is extremely good at relieving constipation. It minimizes the risk of colon cancer, prostate cancer and lung cancer. It is good for haemoglobin, weight loss and lowering cholesterol. Pregnancy is a very important stage. The mother has undergone too many constraints and problems during pregnancy. Certain common medical problems such as constipation, anemia, low haemoglobin content, lesser bowel movement, high cholesterol, Iron deficiency etc., are common in this stage. Apple and Apple juice play a vital factor in controlling and management of these diseases and disorders. Apple has many health benefits. It contains numerous vitamins such as vitamin A, B1, B2, B3, B5, B6 and vitamin C. The minerals such as calcium, zinc, iron, potassium, and magnesium are present in it. The antioxidant fitokimia lowers the level of bad cholesterol. Fibre reduces constipation and cholesterol. Apple also contains flavoid, tanin, baron, quercetin, tartaric acid and glucaric acid. Any fruits or vegetables when eaten raw are good for teeth. Eating and chewing apple strengthen your teeth and prevent it from bacterial decaying. It also reduces the risk of gum diseases, and teeth cavities. When one eats apple, it releases saliva that is good for teeth protection. Gargle with apple cider vinegar helps to kill the bacteria and improves teeth whitening and an effective dental care. A research conducted by Cornell University has proved that eating of apples reduce the risk of pancreatic cancer up to 23 per cent. Apple contains triterpenoids that is having anti-cancerous properties. Apple contains high levels of flavonoids, quercetin, and naringin that fights lung cancer. High fibre reduces the risk of colorectal cancer. Apple skin extract reduces the impact of colon cancer and liver cancer. Apple’s anti-cancerous benefits have also observed in the case of breast cancer. Many research conducted in the UK and Brazil has shown that apple is good to overcome obesity. Since, the fruit is full of fibre that reduces the desire of more eating. Eating two or more apple in a day reduces the risk of heart disease, stroke, diabetes and blood pressure. Apple reduces cholesterol level in the body due to the presence of adequate fibre. The fibre pectin is fat soluble one and an effective chemical for a healthy heart. Apple skin contains phenolic compounds (polyphenols) that prevents cholesterol accumulation on the arterial walls. Recent studies have shown that intake of apples significantly lower blood fat in the body. Regular eating of apple reduces cholesterol and LDL cholesterol in the body. Quercetin is having anti-inflammatory benefits for the cardiovascular system. A study published in the American Journal of Clinical Nutrition has shown that apple contains anthocyanins that help in reducing the risk of diabetes type 2. Some studies have also researched that galacturonic acid present in pectin helps in the management of diabetes. Research has shown that pregnant women who eat apples or take apple juice regularly, the probability of asthma is greatly reduce with the newborn. Apple is rich in antioxidants that reduce the risk of asthma. Apple due to its phenolic compounds has anti-asthmatic benefits. Eating apple on daily basis linked with better functioning of lungs. Apple juice is good for Alzheimer’s, enhances brain functioning and fight brain aging. A study conducted at Cornell University on mice shows higher level of neurotransmitter acetylcholine when apple is given to it. The research has also found that quercetin compound protect brain cells from free radicals. Apple also protects against Parkinson disease. Apple is known for profuse amount of fibre. It is also having pectin fibre. The plenty of fibre is the answer for constipation, diarrhoea, abdominal pain, headache, etc. Irritable bowel syndrome (IBS) is characterizing by the above said features. So, one can save oneself from IBS by eating apple regularly. 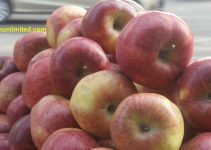 Apple also helps in cure of hemorrhoids because constipation is the factor for it. Apple boosts the immune system of the body. Apple is having vitamin C, which boost up the immunity. The quercetin anti-oxidants fortify the immune system. Apple also helps in liver purification.